Mr. Ray earned his J.D. from Notre Dame Law School and his undergraduate degree in history from Niagara University. Mr. Ray is also a graduate of the American Arbitration Association’s Mediation & Arbitration Advocacy Program. The lender in two (2) construction loans in the amount of $20 million and $15 million, respectively, to the developer of a major airport center. Mr. Ray also has extensive experience in representing both landlords and tenants in connection with the negotiation and preparation of leases for commercial properties, including retail, Class A professional office and industrial space. From 1994 to 2009, Mr. Ray lived and worked in Las Vegas, Nevada, where he represented the largest hard-money lender in the State of Nevada. 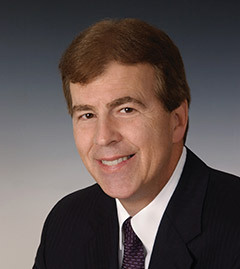 Mr. Ray also participated in the representation of Nassau County, New York in connection with the negotiation and preparation of a new long-term lease pertaining to the renovation and repurpose of the Nassau Veteran’s Memorial Coliseum into a state-of-the-art sports and entertainment venue and the development of the adjacent Coliseum plaza site. Mr. Ray’s legal experience also includes work as an Assistant Town Solicitor for North Kingstown, Rhode Island, where he served primarily as legal counsel to the North Kingstown Zoning Board of Review and the North Kingstown Planning Commission.